The unseen world is more real than one can imagine. It’s a world that is populated with much more than what our physical senses can perceive. We live in a multi-dimensional universe, permeated with higher and lower density realms all existing within the same time and space. Some of the beings that exist in these realms are evil spirits, vampiric entities, angelic beings, disembodied spirits, evolved beings, nature spirits and beings unnatural to the human mind etc. 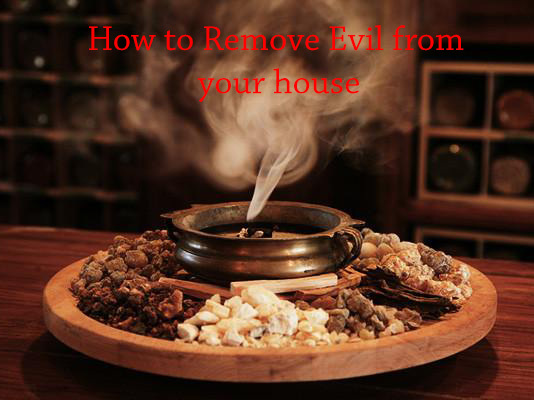 How does a negative energy/spirit enter one’s house? There are many ways and means by which someone can become plagued by an evil spirit. Harmful spells, the evil eye, dark souls sending plagues of evil in your direction with but a thought. Most people clean a new business or house they are moving into, but almost none of them clean the place spiritually. They have no idea what could exist in their new place of habitation or business, and in some cases what lurks is not something amicable. People don’t realize the power that their minds wield, your mind can create a positive or negative presence that can become a protector or a poltergeist respectively. Continual arguing, fighting, depression, or any kind of negative mindset or emotion can birth a negative presence. If these mental activities are continually done in the same place, the presence will plague that particular spot, otherwise, the presence will follow the individual wherever they go. If the energy is not removed, it will attract other negative energies or disembodied spirits that feed on the negative energy you are emitting. How do I know if I have a negative energy/spirit problem? Some of the symptoms of a presence of a negative energy or a malevolent spirit are nightly nightmares, not being able to get a good nights sleep, feeling a cold breeze, arguing for no reason, failing business, missing items, loss of energy, life going in the wrong direction, unexplainable ailments etc. Feeling a presence though you see nothing or seeing shadows in the corner of your eye is very common, especially at night or in a dark room. Being constantly awakened at 3:00 am, hearing noises or feeling a presence around that time also. How do I remove these negative energies/spirits? high-quality mix of resin incense such as Frankincense, Myrrh & Benzoin mixed in equal portions. The best time to remove these entities is when they are most weak at sunrise, noon or before night. To remove these entities and spirits first follow these steps. open all windows, closet doors, any door that you can find in your house or business. line your censor or bowls interior with tin foil. light the charcoal with a lighter, I usually use the stove as it’s easier. place some of the incense in the sensor. The next steps are important to follow exactly. I command in the name of (whatever you believe in) that all negative energies, currents, and spirits leave this place and never to return. (whatever you believe in) protects me and this place from evil for evermore. Always end at the center of each room. In each room, you should have done 6 lines. In the hallways just walk in a straight line down the hall from start to end and repeat the above verse. When you have done all the rooms and hallways take the sensor and leave in the middle of the house or business and allow it to burn out. Typically I wait until I cannot smell the resins anymore and run water over the sensor and dispose of the charcoals. You should feel lightness and purity in the air, all negative energies should have been banished. Should the presence not leave, it would be advisable to enlist the services of a reputable shaman to free you of the plague. How do I go about finding a shaman or someone who can help me with something like this? I live in Arizona and I have been searching all over the internet for someone and It is so hard to find someone. Like how do you know they are legitimate and not a fake? it depends, what exact issues are you having?